According to the Centre-run System of Air Quality and Weather Forecasting (SAFAR), the overall air quality index (AQI) in Delhi was recorded at 326, which comes under 'very poor' category. The air quality in the national capital oscillated between ‘poor’ and ‘very poor’ categories on Sunday due to increased pollutant-holding capacity of air after rainfall a few days back, authorities said. According to the Centre-run System of Air Quality and Weather Forecasting (SAFAR), the overall air quality index (AQI) in Delhi was recorded at 326, which comes under ‘very poor’ category. The Central Pollution Control Board (CPCB) data showed the overall AQI at 299, which falls in the ‘poor’ category. According data provided by the apex pollution control body, 14 areas in Delhi recorded ‘very poor’ air quality and another 14 recorded ‘poor’ air quality. The PM2.5 — particles in the air with a diameter of less than 2.5 micrometres — level on Sunday was recorded at 153, while the PM10 level was recorded at 289, the CPCB data said. 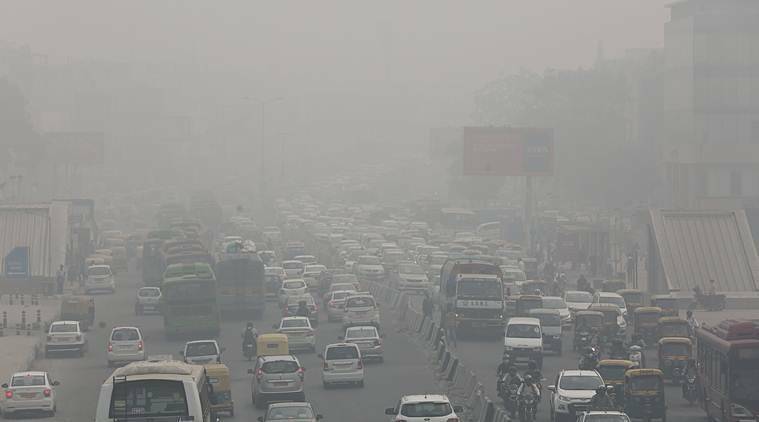 Delhi’s air quality showed significant improvement on Wednesday and Thursday after rain washed away the pollutants but the rainfall also led to increased air capacity to hold pollutants, the SAFAR said.